Australia is kicking right into Eurovision gear, and now we finally have the live performances by the ten hopefuls that’ll help the country decide who they want to pick as our country’s representative at this year’s event. 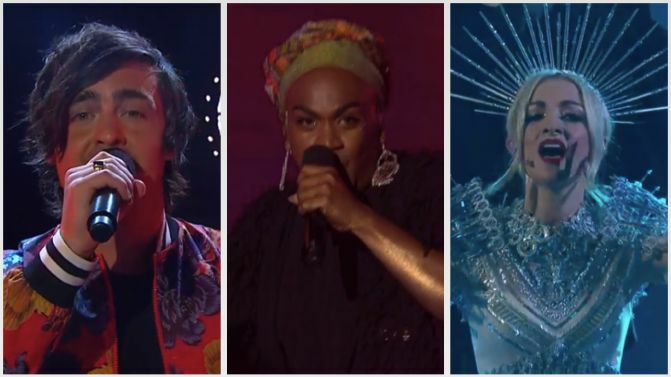 Last night, SBS aired the ten live performances from Australia’s hopefuls and they are all honestly completely over the top and wonderful. In case you didn’t know, the ten performers are Kate Miller-Heidke, Courtney Act, Electric Fields, Sheppard, Aydan, Ella Hooper, Mark Vincent, Tania Doko, Leea Nanos and Alfie Arcuri. Voting is open right bloody now, and you can find out all those details, and watch all of the performances, here. It’s like Australian Idol all over again and not just because Courtney Act is in the running. You gotta be in quick though, because voting will only be open until tonight (Saturday, 9th February) but will stay open throughout the live broadcast on SBS and when it airs from 8:30pm on SBS On Demand. Voting will close at 11:30pm AEDT. In case you don’t know, Eurovision will be taking place in Tel Aviv, Israel from Tuesday, 14th May – Friday, 18th May.